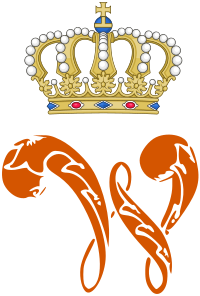 Prince Maurice of the Netherlands, Prince of Orange-Nassau, was the second son of King William III of the Netherlands and his first spouse, Sophie of Württemberg. The Royal Netherlands Army is the land forces element of the military of the Netherlands. A lieutenant is the junior most commissioned officer in the armed forces, fire services, police and other organizations of many nations. He married his first cousin, Sophie, daughter of King William I of Württemberg and Grand Duchess Catherine Pavlovna of Russia, in Stuttgart on 18 June 1839. This marriage was unhappy and was characterized by struggles about their children. Sophie was a liberal intellectual, hating everything leaning toward dictatorship, such as the army. William was simpler, more conservative, and loved the military. He prohibited intellectual exercise at home, for which action Queen Victoria of the United Kingdom, who corresponded with Princess Sophie, called him an uneducated farmer. [ citation needed ] His extramarital enthusiasms, however, led the New York Times to call him "the greatest debauchee of the age". Another cause of marital tension (and later political tension) was his capriciousness; he could rage against someone one day, and be extremely polite the next. ↑ (in Dutch) Z.M. 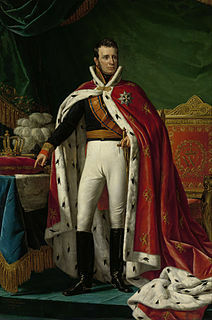 (koning Willem III) Willem Alexander Paul Frederik Lodewijk, koning der Nederlanden, groothertog van Luxemburg, prins van Oranje-Nassau, Parlement & Politiek. Retrieved on 21 February 2015. ↑ (in Dutch) Z.M. 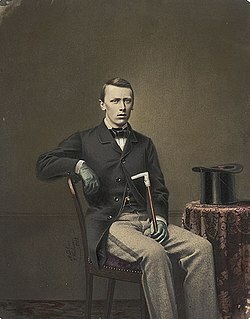 (koning Willem II) koning Willem Frederik George Lodewijk , koning der Nederlanden, groothertog van Luxemburg, hertog van Limburg, prins van Oranje-Nassau, Parlement & Politiek. Retrieved on 21 February 2015. ↑ (in Dutch) Koninklijke ere-commando's en militaire erefuncties Archived 2012-03-16 at the Wayback Machine , Nationaal Militair Museum. Retrieved on 21 February 2015. ↑ "Proposition de revision portant modification et nouvel ordonnancement de la constitution du Luxembourg" (PDF) (in French). Council of Europe. 26 August 2009. Retrieved 6 December 2009. ↑ Elzinga, D. J., ed. (2007). 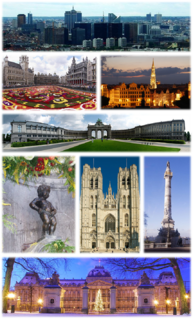 The Dutch constitutional monarchy in a changing Europe. Kluwer. pp. 125 & 129. ISBN 978-90-13-04866-7. ↑ Janssens, A. L. J. (2008). Uitingsdelicten (in Dutch). Kluwer. p. 177. ISBN 978-90-13-04880-3. ↑ G.A.M. Beekelaar (1989). "Heeckeren tot Kell, Willem baron van (1815–1914)" (in Dutch). Instituut voor Nederlandse Geschiedenis. Retrieved 31 August 2009. ↑ van den Bergh, H.; Vinken, P.J. (2002). Klein republikeins handboek: honderd misverstanden over de monarchie (in Dutch). Uitgeverij Boom. pp. 58–59 . ISBN 90-5352-734-6. 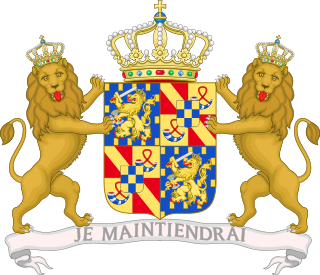 ↑ William III of the Netherlands "a very tall and strong man, he was initially seen as a father figure to most of his subjects, unaware of his tantrums and philandering ways"
↑ "Willem I en III hadden bastaarden". NOS. Retrieved 2016-07-21.